There have been numerous rumors over the past week that Apple Inc. (NASDAQ:AAPL) and Yahoo! Inc. (NASDAQ:YHOO) are thinking about taking their relationship to the next level. Both The Wall Street Journal and Bloomberg have chimed in with reports to that effect. Here’s the thing: This could be a beautiful marriage. As it turns out, Apple Inc. (NASDAQ:AAPL) and Yahoo! Inc. (NASDAQ:YHOO) both happen to be heading toward the same destination. Apple needs to bolster integration with third-party data sources and cloud services, while Yahoo! is trying to regain relevance in the mobile era. Meanwhile, they share a mutual enemy in Google Inc (NASDAQ:GOOG). By fetching data from Yahoo! on the back end for numerous services beyond the current partnership (primarily stocks and weather), Apple Inc. (NASDAQ:AAPL) could further snub Google Inc (NASDAQ:GOOG). 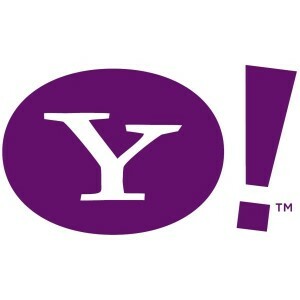 If Yahoo! Inc. (NASDAQ:YHOO) can score some prominent screen real estate on iOS devices, that gives the company a renewed sense of mobile relevance. Even beyond the high-level strategic implications, there’s another important department where Apple’s and Yahoo!’s interests converge: design. Apple’s iOS interface is aging, and many users (including myself) have been calling for a revamp. This may already be en route, with design guru Jony Ive now directing interface at Apple and the Mac maker’s Worldwide Developer Conference, or WWDC, coming up in June. WWDC is typically when Apple Inc. (NASDAQ:AAPL) shows off the newest versions of iOS to developers and the world, and iOS 7 could be the most important upgrade in years, as it’s expected to feature an aesthetic overhaul. Ever since becoming Yahoo! Inc. (NASDAQ:YHOO) CEO, Marissa Mayer has put a heavy focus on Yahoo!’s core products, revamping the home page and acquiring a handful of mobile startups. The company has also recently released new mobile apps for email and weather — and they’re shockingly attractive. Both feature minimalist modern designs with typographical accents, an aesthetic philosophy more characteristic of Google Inc (NASDAQ:GOOG) and Microsoft Corporation (NASDAQ:MSFT) these days. In fact, simply comparing Yahoo! Mail and Gmail on iOS show that Mayer may be nudging her company’s design approach in the same direction as her former employer’s, and that’s a good thing. Yahoo! 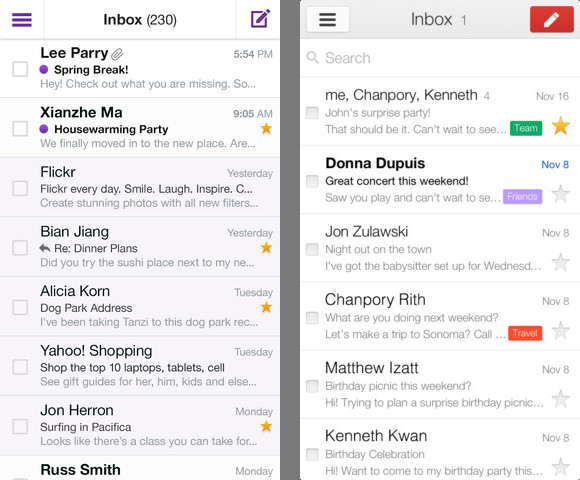 Mail (left) vs. Gmail (right). Screenshot previews from iTunes App Store. Source: Apple.